Get the coordinating dies! These are fabulous in their own right – I know this is a set that will be staying with me long-term! 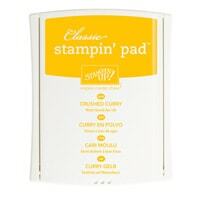 Regardless of your style, clean or fussy – this stamp set works! It’s a classic – and it’s perfect for everyone – men, women – it’s not limited! 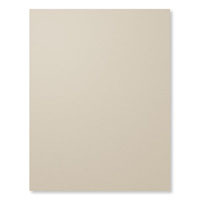 All you need is a Whisper White card base. Then cut a panel the same size as the card front from Sahara Sand. Stamp clouds over with coordinating ink. Die cut the largest Balloon Die from the front of this panel then add a sentiment in Memento Black ink. Add to the front of your card base using Stampin’ Dimensionals. Stamp a Crushed Curry Balloon onto Daffodil Delight card and die cut out. Add to the card in the centre of the large balloon using more Dimensionals. Thank you for stopping by my blog today. I hope you’ll continue around the hop and check out the rest of the team’s ideas for Lift Me Up. They are sure to be amazing! Facebook Live Weekly Craft & Chat! Stampin’ Up! Sale-A-Bration – New Products! So cool how you tucked the smaller balloon inside the large cut out! Sweet card! Fabulous card I like the little balloon inside the big one! Very cute card! Love the fact you used the large balloon Framelit as a frame! Clever! What a neat idea, Val! I would have never thought to “frame” the smaller balloon. Very unique and clever! Thank you of showing a different way to use this set. Cute card! 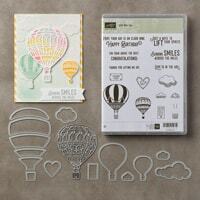 What a fun take on the shapes in this bundle — this is a very creative card! Great card Valerie! I love how you have the balloon inside the other balloon. It really pops!